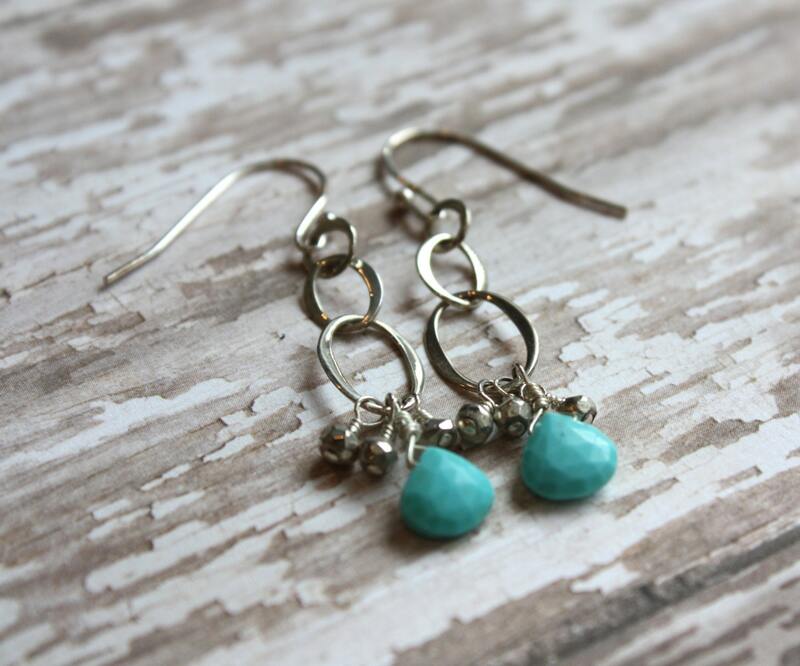 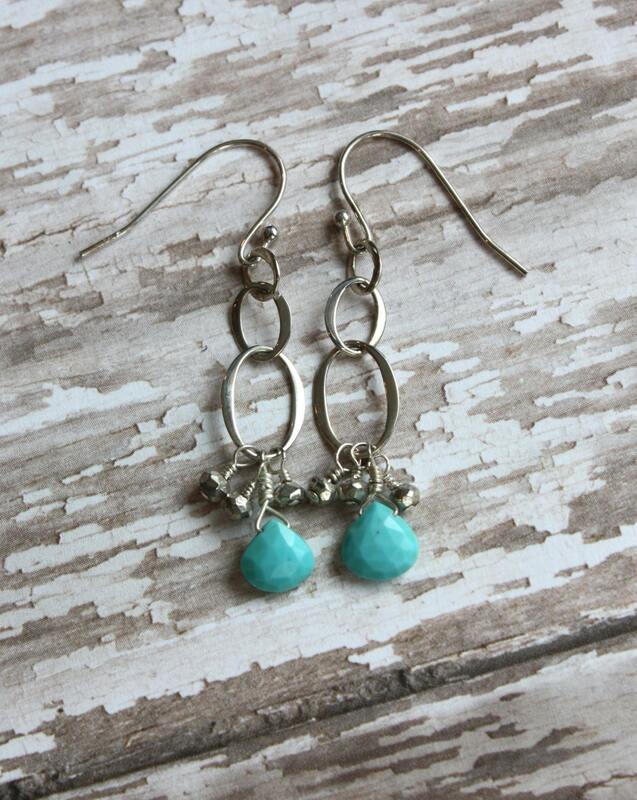 Robin blue turquoise hangs down from sterling silver oval links in this versatile earring. 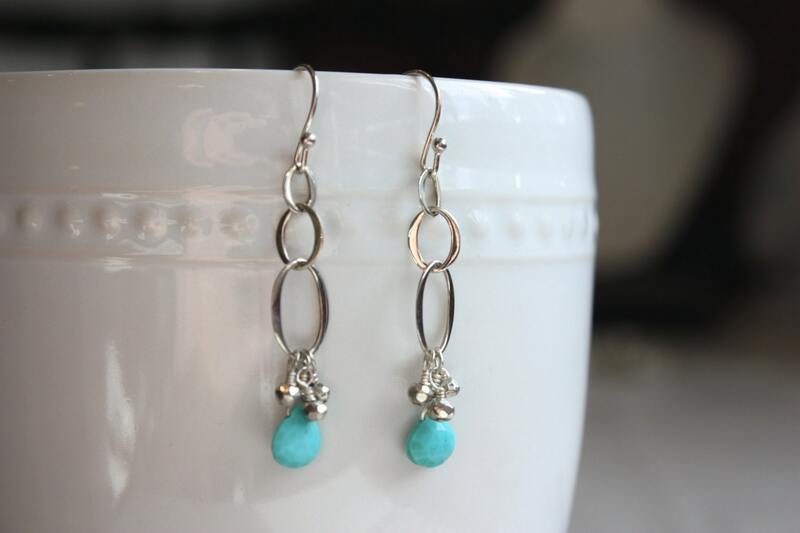 Dress it up or wear it everyday, This earring also has tiny silver pyrite dangles to give the earring extra movement and swing. 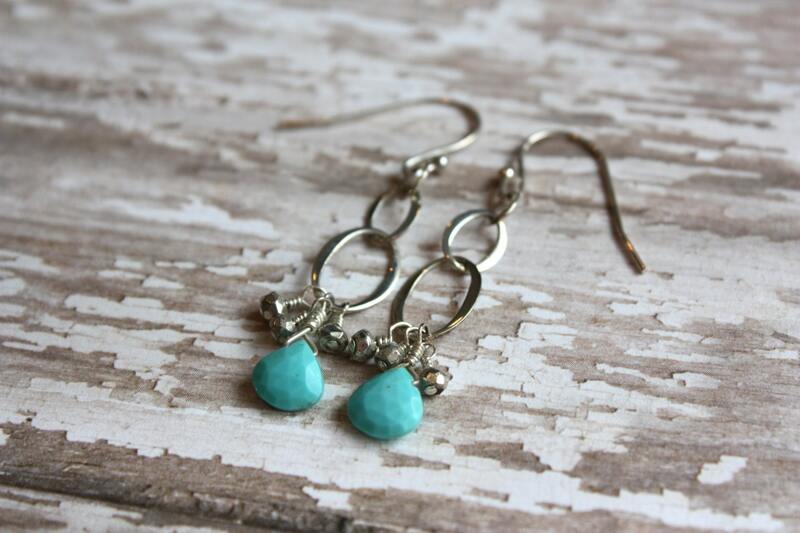 *Made of sterling silver and gemstone quality blue turquoise. 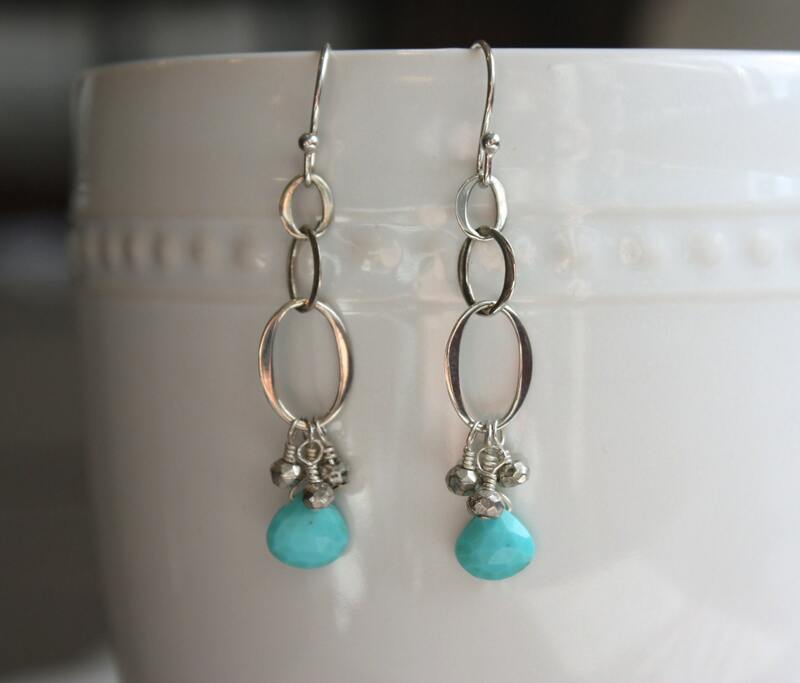 *Earwires are sterling French wires.